Mommy's Idea: Win a Two-tiered Diaper Cake from Diaper Cakes by Wendy! Win a Two-tiered Diaper Cake from Diaper Cakes by Wendy! 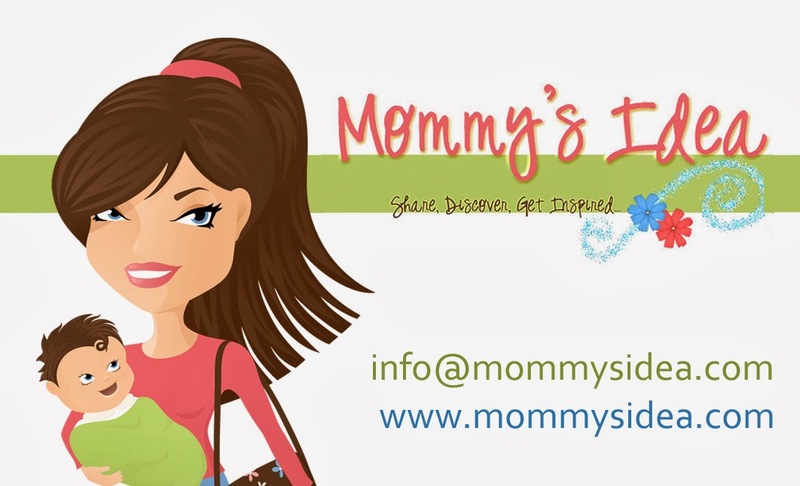 -Stumble this post or www.mommysidea.com. Contest ends at 11:59 PM EST on Saturday, October 17, 2009. Tell us a little about you . . . My name is Wendy and I am a stay at home Mommy of 2 wonderful children, Bruce (turns 6 today! ), and Brooke-Lynn, who will be 2 in January. I started making diaper cakes in 2007 when I received one at my baby shower. It was the best gift I got, and I have learned, the more diapers the better! This is why my cakes have so many more diapers than you will find on a typical diaper cake, all while costing less and with free shipping! I also have baby shower favors, such as washcloth lollipops, washcloth butterflies, diaper purses and other gifts, and every time a new request is made, it is another thing added to my website. I love custom orders! What is your business and where can we find it? Diaper Cakes by Wendy. I currently have no physical store, but would love to some day! You can find me online at http://www.diapercakesbywendy.com/. Is it mom-owned, invented, created . . .? Yes, it is Mom owned, and I do all this on my own. I make everything after it is ordered, this way you can get it just the way you want it! A little about your entrepreneur journey so far? It definitely started off very slow, I was only making diaper cakes when I started, but so were hundreds of other people, so I got nowhere. But I did not give up and my husband would not let me, he thought I had something good! So I kept on and tried different ways of making diaper cakes. I tried them on eBay, locally, in gift shops, and at the flea market with no luck at all. Finally it dawned on me that I needed something inexpensive to attract buyers. So this is where the mini diaper cake came from. I was the first person to make a true mini diaper cake, as back then, all mini cakes were actually large one tiered cakes. I made them with just 8 diapers and priced them low. I finally had some luck and was selling them good until everyone else started making them too. But by then I had attracted enough attention to my larger cakes that it didn't matter. Now, I have over 25 different baby shower gifts and favors. I don't quiet make enough to survive on yet, but I am hoping to get there eventually! I just started craft shows and right now am doing one per month, so I am hoping it becomes profitable too! Anything else you’d like to share? I absolutely love what I do with a passion. Being a Mom of 2, I know what to use and what not to use on babies. I never use store brand diapers, I use Luvs on every item I make. I use high quality washcloths on the favors as well, nothing from the Dollar Store. I guarantee you will not find a better value anywhere else on high quality work with high quality items. I can make any theme or colors, so if you don’t see what you want, just ask! Thank you SO much! oh wow, I would love to win. My friend JUST had a little boy (her first one) and I love the idea of diaper cakes...so I'm sure she'd appreciate it. I really like that she has baby shower favors too. I would love to win this for my daughter who is having her 5th baby soon. It would be really special. I would love to win this for my new DIL who is expecting in February. I am hosting a baby shower for one of my sisters next month and this would make a great table centerpiece. actually, i'dliek to win one because i never had a baby shower for my second son and felt left ou. this would make my day. These are adorable! I would love to win for a cousin who is exptecting her first at the beginning of March. This would make a great shower gift! I love that they have the undecorated cakes for people to do themselves. I would love to win this for a friends shower on the 24th. Her theme is baby animals and this would be perfect. I would love to win this for my girlfriend who is two states away. She is having a baby shower that I just can't make it to. I'd love to send this in my place. These diaper cakes are adorable! You are talented! My cousin is having a baby, any day now, and i know she would love this! Thanks! I would love to win this because it would make a prefect center piece for my daughter in law's baby shower. These are so adorable and unique. I'd love to win this for my friend and neighbor, who is having her first baby this month...we don't know yet if it's a girl or boy. What a really cute gift this would make. Thanks so much. I'd love to win this. These cakes are so cute and are extremely useful! This diaper cake would be the perfect centerpiece on the table for my daughter's baby shower. Annd every mother can always use more diapers. I love that Wendy offers free shipping to the lower 48 states!I'm planning a baby shower and this would be the perfect centerpiece/gift! I would like to win this to give to my niece who just had her first child. I'd like to win this for my sister in law. She's due in February. i'd love to win this for my cousin who's expecting her first baby. I'd love to win the Two Tiered Diaper Cake - Baby Girl for my baby girl! Grabbed your Mommy's Idea button and posted it on my sidebar. Wendy's designs are gorgeous! I'd love to win this...I just had a baby and we could definitely use the diapers. I would love to win this for a baby shower gift for my cousin. THanks! I love the two-tiered themed cake and would choose a twin baby boy theme because a friend is expecting twin boys. This would be great for her shower! These are all so cute. My best friend is pregnant and I think this would be a great gift for her! It's so unique! Diaper cakes make a great baby shower gift. I'd love to win it to present to my friend who's due to have her first baby soon. Thanks. I would love to win one for myself ~ I am due in January...and my family (based on my sister's showers) just don't do diaper cakes...but I LOVE them. I would love to win this for my niece, they are expecting their first little one. My neice is due in January. What new mother couldn't use a diaper cake? I'd like to win for a friend of ours who is expecting. I like that you can choose a theme on the website; that is a good feature. I would love to win this because it is so cute and perfect for a boy or a girl. I am pregnant and we decided not to find out the gender of our baby. Thanks! My friend is due in a few weeks with her first baby boy. I'd love to give her this. I am 14 weeks pregnant and haven't gotten anything yet for our little one. I would love to start out with this! I like the Three Tiered Diaper Cakes - Themed. Oh I like to win this for my dear old lady friend Pat's great grandchild. They are so cute I love the ladybug one! I want to win this for my best friends baby shower in November! Thanks for the chance! These are so adorable. I would love to have this for the next family baby shower. I'd love to win this! We have a baby on the way and these cakes are adorable! I would love to win this for a friend who is due at the end of November. I'd love to win this for my sister in law who's having her first baby. My sister is due in 6 weeks and she's starting to freak out. I'd love to give this to her as a fun welcome to motherhood gift. Thanks. I would love to win this for my daughter who is due in April. What adorable Diaper Cakes - especially the themed ones. I'd love to win the cake for girls for my good friend who is expecting her first baby in January. Those a great ! this would be perfect for m ysister who is pregnant! This would be a wonderful gift for my friend! I would love to win this beautiful diaper cake for myself. I'm am due in Feb. with a boy and this would be a thrill to receive. Thanks! I'm already an email subscriber. Thanks! The diaper cakes are really cute! Wendy does a wonderful job and I love how she is so creative and sells some undecorated! I would love to win one of these diaper cakes for by brother. His first son in due in a couple months. My sister is due soon, and her baby shower is coming up. Her theme for the room is turtles and light greens so this would be absolutely perfect! The mini diaper cakes for showers are a great idea! I know from experience what a pain it is to make your own three tiered diaper cake,and to have it ship without movement. Happily leave it in someone else's hand! I would love this for my friend who just had a baby girl. I would love to win this for my cousin who is due in 2 months! I would like to give this to my sister who is having her first child due Dec. 16. Not only would it make a great baby shower gift but a christmas gift as well. I would love to win this great prize because it looks very nice! My cousin is due with her first baby this Christmas, so this would be great for her :) I lvoe theMod Mom one. This cake looks very nice and cute. Gratitude for sharing these ideas here. I also have been looking for the easy and cute theme inspirations for my sister in law’s baby shower. Recently it has become chaotic for me to find budget friendly San Francisco venues. It will be great if anyone here can provide the suggestions. Mommy’s Idea Gets a Makeover! Another Great Mom Site- Great Giveaways!